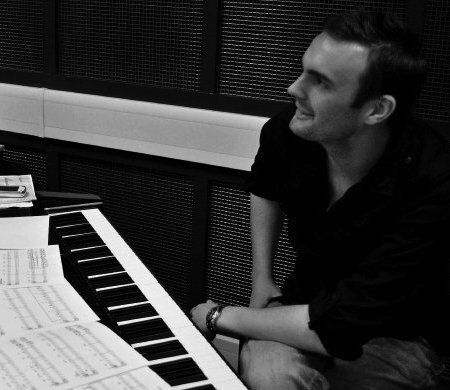 Graduating with 1st class BA (Hons), and subsequent Master of Music from Newcastle University, Phil rapidly built his reputation as a talented pianist, composer, conductor and educator. Claypath’s emergence in the music scene provided Phil with the motivation and outlet he needed to explore his creative musical development. Renowned for his distinctive piano arrangements, unassuming musicality and subtlety of taste, Phil is the perfect compliment to Claypath’s unique sound. Phil has also performed with artists such as Bonnie Tyler, Guthrie Govan, Nick Beggs, Paul Elliott, Shaun Baxter, Lorraine Crosby, and Frith Street. He has even shared the stage with legends Reeves and Mortimer! Phil has also received high profile commissions from the BBC Scottish Symphony Orchestra, and has had works performed by Northern Sinfonia. strand for their acclaimed national music programme.